Adding to your kit bag doesn’t have to come at great expense. 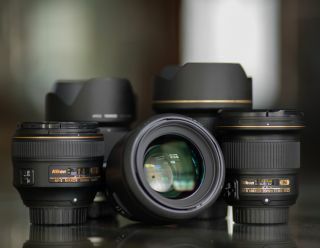 Whether you’re after the latest in camera or video technology, or you finally want to grab that lens or accessory you’ve had your eye on for some time, mpb.com will help you to expand your setup without it denting your wallet too greatly. Ask yourself: do you really need everything brand new? Cameras, lenses and accessories that have been well looked after can work just as well as brand new products, despite being much cheaper to buy in the first place. Our team rigorously inspects every item and prices it fairly, with a grading to give you a better idea of the product’s complete condition. You don’t need to take our word for it, either: every item is photographed and shown exactly as it is so you know exactly what you will be getting. In some cases you might not be able to find a particular product in a like-new condition, particularly older camera bodies. Where there are multiple samples of the same product in stock, you can quickly compare conditions and prices to get the perfect fit for both your needs and your budget. You can even see everything you get in the box at a glance. Whether you want to buy or sell a camera, lens or accessory, or trade something in to fund your dream bit of kit, our online service makes the process straightforward. Thinking of selling or trading in your kit? We’ll give you the true market value for your items and even up our quote if we find them to be in a better condition than you originally described. We’ll deliver your quote within one working day and, once we’ve inspected your items, you’ll get paid or credited without hassle. We will even provide free next day courier collection of your equipment, or if you’d rather post your items to us yourself we will cover the cost. Of course, there’s much more than just cameras and lenses that can help you in your photographic endeavours, and you can get it all conveniently in one place. Our wide range of accessories encompass everything from tripods and battery grips through to filters and brand new memory cards. If you’re feeling cautious about buying or selling your equipment online, you can chat to our friendly representatives online, or even phone us up if you’d prefer. Our service doesn't just stop once you’ve bought your perfect photographic partner either: with a six-month warranty on all used cameras and lenses, you can buy with absolute confidence. Try our 5* rated service and buy or sell with mpb.com today!